For a while now I've needed a new helmet - one to use for teaching on the river or in rough water rescue practice on the ocean. Something for those situations where my full face helmet is just overkill. I've been use a plastic Shred Ready that has worked well but it's reaching the end of its useful life. 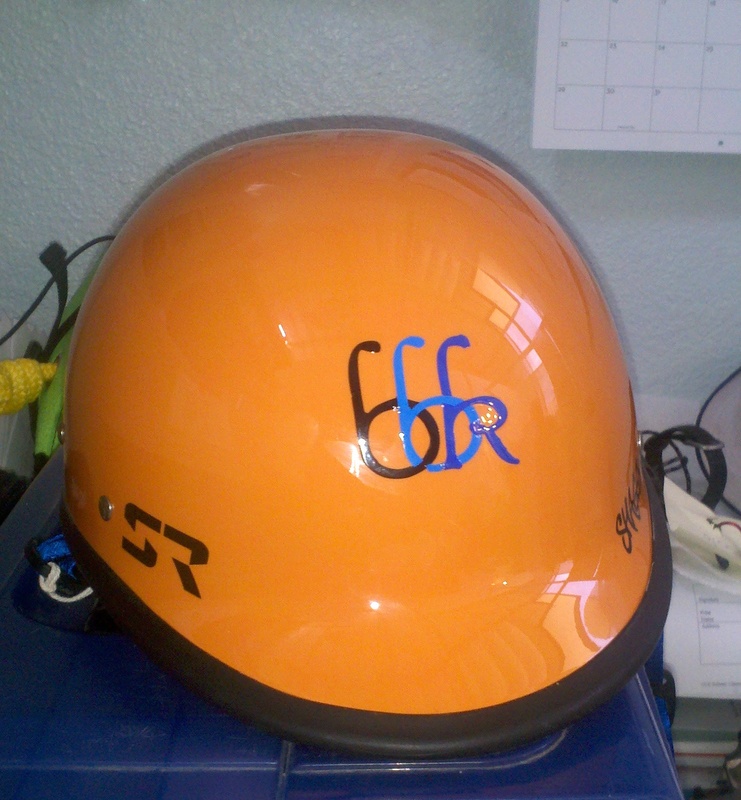 I noticed that Shred Ready is now doing custom art on their helmets - you design it and they slap it on. 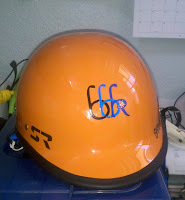 So I ordered a glass helmet with my very own logo. Yes, it's flashy and self aggrandizing. But I'm worth it, right? It's often said (by kayakers) that it's much more dangerous driving to the water than it is paddling. This may not statistically be true (depending on how exactly you calculate risk vs. time spent) but the point is that dangers are everywhere and paddling itself is not always where the greatest dangers lie. I have often said that I have hurt myself many more times when moving boats around than when I'm in them. And I can chalk up another tally to that list. This time with the boat had an accomplice - my water bottle. After an late day paddle on the river in which I barely even got my head wet I was loading my boat on the truck in near darkness when my water bottle fell out and konked me right on the head. My helmet, instead of helping to protect me, followed my bottle out of the boat and also bounced off my skull. The resulting gash was rather deep - the bottle is aluminum and was full of water. But it was a clean cut and after a good cleaning and a couple butterfly bandages I felt OK about skipping the stitches. 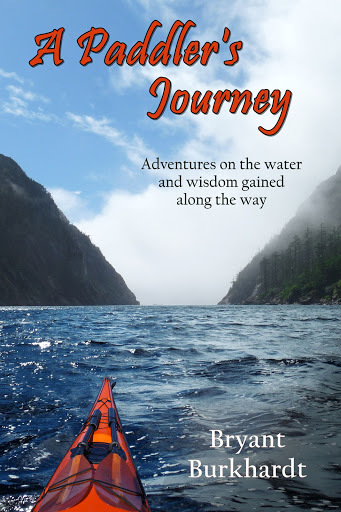 I took a few days off paddling to keep it clean and dry and spent a fair bit of time working on stories to explain the scar that will sound a little more heroic than the truth. But in the end the truth is the best story - the paddle on the river that night was fun and harmless.